Micah is a completely different person while he waits to perform on the piano. 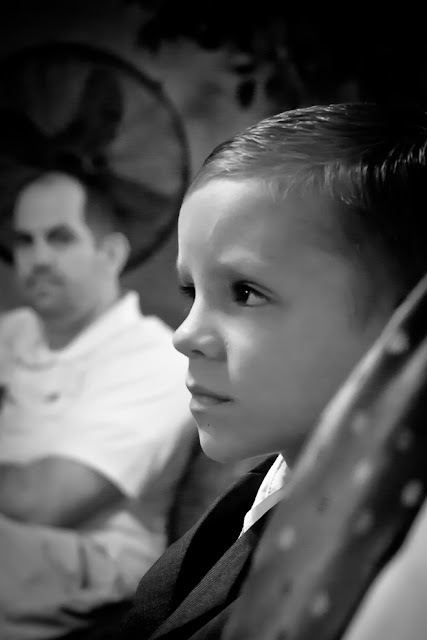 Who can resist little dudes in suits and ties? He gets very serious and very quiet. He is focused and a little insecure--all complete opposites from his naturally boisterous and confident self. Then, when he gets seated at the keyboard, music erupts from his small hands--a technical level of music that surprises his audience. He can burn those keys with a speed that can only be described as shocking (not always a good thing, but we're working on it! ), and he is learning that music tells stories and helps people feel what he feels as he's playing. I wish I'd gotten a picture of him with his brilliant and patient teacher, David Marcum. Dave can pull music out of Micah that is very unusual for someone Micah's age. Dave coaxes Micah through rough spots and challenges him with exciting pieces that Micah loves. I don't know who was more excited when Micah grasped the concept of the circle of fifths--the student or the teacher. Teachers like Dave are rare, and I'm so glad he is guiding Micah through his lessons. I love listening to Micah play, even when he's fighting back during his practice sessions. He has a gift, and I'm so glad he has discovered his love for the piano at such a young age. 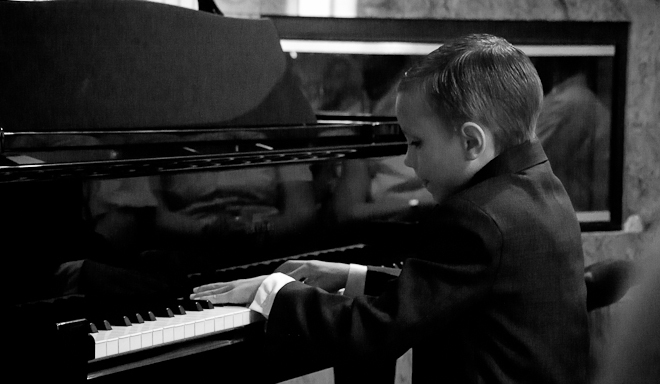 And Micah does love the piano, no matter how often he tells me that he hates it. I know that what he really hates is practicing, and as his maturity catches up with his ability, I don't think anything will be able to stop him. I would have liked a video of this event. I want to hear the burning keys!!!! Love, love, love listening to the kids and their music. Wish I could have been there. I am so glad you got one to follow in your footsteps! Beautiful photos, you are really getting skilled! You need to post a video of those hands flying sometime, they are incredible! Wow, that's really cool! I always told my mom I'd never say this, but of course I wish now that I'd stuck with the piano. Good job Micah! His profile in that picture shows a strong resemblance to Lilly. I love the pics of him looking so intense at the piano.